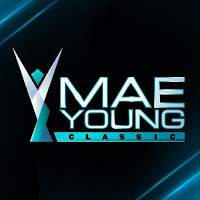 Nicole Matthews worked the Mae Young Classic this year and (SPOILER) she made it to the second round before Tegan Nox defeated her. But apparently, she’s not going to be able to come back to Full Sail University for a while at this point. The Wrestling Observer Newsletter noted that due to an issue at the border, Matthews is not allowed to work in the United States again for 5 years. Matthews, who is Canadian was noted as having issues coming across the border recently and while the specifics are not known, she is now banned from coming back to the USA for half a decade. Indie worker Speedball Mike Bailey is in the same situation as he cannot enter the USA for a few more years following a similar issue. Hopefully, she will be able to get plenty of work as she continues on the indies until then. Needless to say, this is not good news at all for Nicole Matthews.